If you are in need of home roofing repairs or a full roof replacement project, look to the experienced contractors at Daech & Bauer Roofing. We’ve served residents of the Maryville, Illinois area for many years, and we are proud to have successfully completed more than 10,000 projects to date. We are fully licensed, bonded, and insured, and our installers provide cutting edge roofing industry knowledge and expertise. 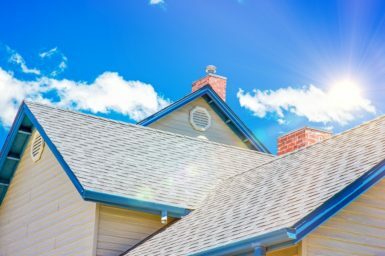 We can repair or replace many different types of home roofing materials, including standard and energy-efficient shingles, slate, cedar shakes, metal, and tile. If the roof on your home is no longer providing the protection you want, contact the home roofing contractor that residents of the Maryville, IL area count on – Daech & Bauer Roofing.